TIREE: The imm Pied Flycatcher is still at Carnan Mor/ Balephil today (John Bowler). MID-ARGYLL: 2 Slavoinan Grebes were off the tip off Taynish/ Linne Mhuirich today and a Jay and Blackcap nearby. Also 1 Greenshank, 60 + Wigeon, 20 + Teal and a m Peregrine at the Add Estuary (Colin MacFarlane). A sub-adult White-tailed Eagle was being chased by a single raven along the Meadows towards Cairnbaan this morning at 0830hrs (Blair Urquhart). MULL: A Wryneck was spotted at the Balmeanach farm turn off, Gribun this afternoon (Mark Appleton & Terry Tiller per Alan Spellman). 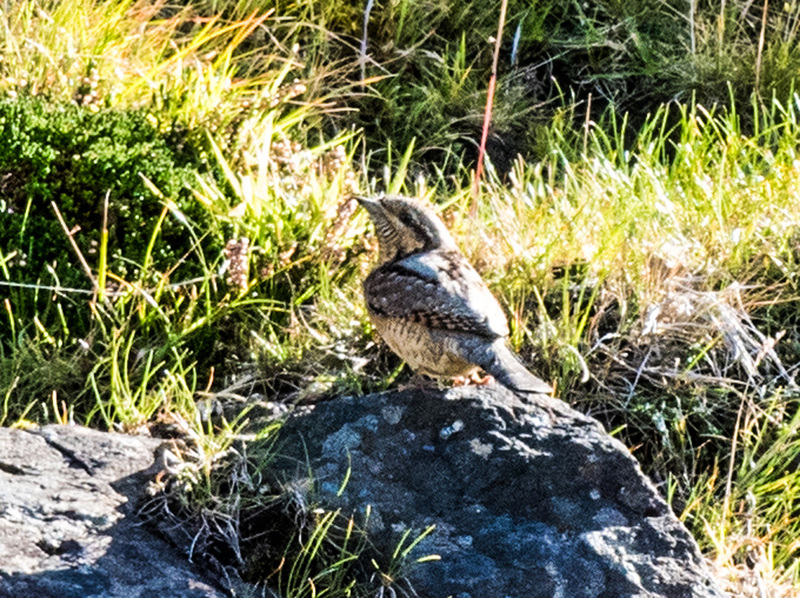 Wryneck – Gribun, Mull – 21 Sep (Kerry Tiller).